With Bluewire’s help, companies can use the power of the cloud to create an exact copy of the production environment. With multiple data centers, clients can be assured their applications are available and their data is recoverable. 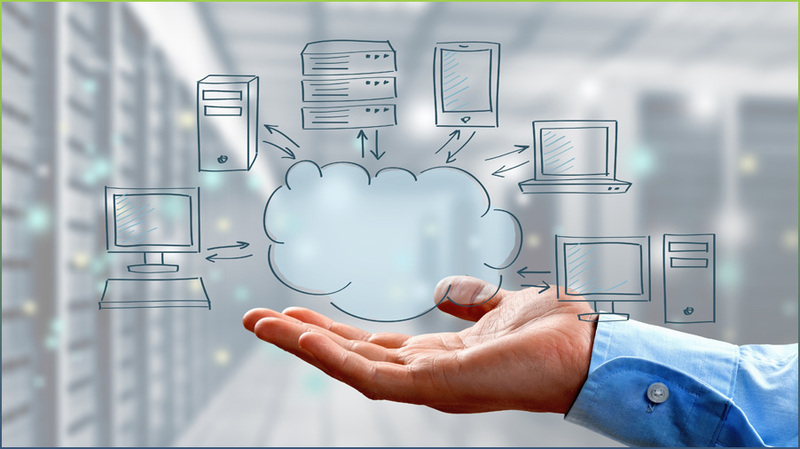 In the event of data loss users can, at any time, pull up the most recent server backup (whether it’s a physical server running Windows or a vSphere image), recreate IP networking schemes, connect VPN sessions to workstations, and access applications from the cloud in the same way as if they were running natively. Within Bluewire’s cloud, VMWare machine recovery can be done in 15 minutes or less, and Windows-based machines can be recovered at 50GB per hour or more. Why Choose a Managed Backup Provider Like Bluewire? Although the managed services model has been around for a while, it has only recently come to a point in terms of availability and scale where small business owners can use the full benefit of the technology. Small business owners can hire Bluewire to provide a single function like offsite backup and recovery or to run the company’s entire IT infrastructure. Below are several benefits companies can gain from partnering with Bluewire. It is often prohibitively expensive for small businesses to dedicate an entire team to the management of technology and data. As a result, companies are increasingly turning to managed services providers to decrease the cost of IT infrastructure ownership and to reduce systems’ downtime. With data backup and restore capabilities from Bluewire, companies can quickly pick up where they left off in the event of data loss. Hiring an IT services provider like Bluewire, allows Houston companies to monitor systems and data in real time. With a proactive approach, business owners can identify and resolve small issues before they can cause larger problems that may result in data loss or other consequences. Updated security patches improve a company’s overall security while protecting important systems and data from malware and virus attacks. Small and large businesses that outsource security jobs such as vulnerability scanning and monitoring find it easier to stay one step ahead of malware creators. Aside from the substantial savings, a company can get more value for their money with help from a managed services provider like Bluewire. The company can benefit from assured offsite backup and data recovery while improving the reliability and quality of computer networks and systems. With Bluewire’s help, company owners can spend less time worrying about technology and more time running the business. Managed services data backup and recovery solutions can ensure the recoverability of data while preventing a complete loss. Disaster recovery is particularly important when a client considers that almost 70% of corporations fail within two years of a significant data loss or disaster. Don’t let that happen. Call or visit Bluewire today to find out how we can help.